If you have a car in your yard or driveway that makes a better lawn ornament or paperweight than it does a means of transportation, it’s probably for the better that it be crushed. 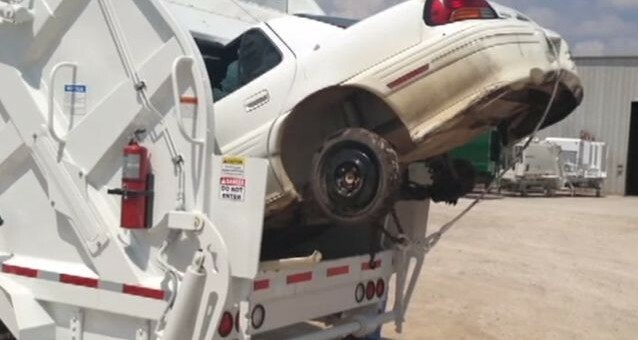 And when you’re a garbage truck company with a new rig, what better way to demonstrate its capabilities than by crushing an old Pontiac Grand Am like it was a used soda can? There is no better way. I’m impressed. Now that it ate the thing I want to see it regurgitate it back out.